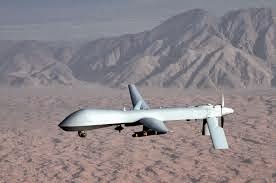 Drones or small airplanes, remotely controlled from a source that could be someone standing on ground below or sitting in front of a computer console, hundreds of miles away, first came into lime light during Afghanistan imbroglio, when US secret service CIA used an unmanned Predator drone in a targeted killing. The strike was in Paktia province in Afghanistan, near the city of Khost. The intended target was Osama bin Laden, or at least someone in the CIA had thought that target to be him. It was a terrible goof up as within days of the strike, journalists on the ground found out from local Afghans that the dead men were civilians gathering scrap metal. The media started asking questions and yet it was clear that a new means of warfare; using armed drones to attack enemy positions deep inside their territory had began. Flying drones or unmanned remotely controlled aerial craft is not exactly a new idea and is probably a century old one. An English consulting engineer, Archibald Montgomery Low ( 1888- 1956) was, the first person, who thought of remotely controlling a pilotless aircraft. Using his ideas, the first pilotless, remote controlled aircraft were built during and shortly after World War I. The development continued and eventually during world war II, a company known as “Radioplane Company" manufactured and delivered nearly fifteen thousand drones, known as Radioplane OQ-2, to the US army during World War II. Even with these developments, the pilotless airplanes, also known as Unmanned Aerial Vehicles (UAV), were still considered as unreliable and expensive toys. This view changed dramatically after developments by Israel in this field. Israeli Air Force used UAV as electronic decoys, electronic jammers and for real time video reconnaissance. In 1982 war with Syrian Air Force Israel managed to quickly destroy dozens of Syrian aircraft with minimal losses. US today, is the largest user of UAVs, having used them besides battlefields to domestic surveillance, as a search and rescue tool, disaster relief, border surveillance and wildfire fighting. Realising the tremendous potential of drones, many commercial undertakings have been experimenting with drones to find out if they could be used for delivery of products and materials. Amazon Inc, a US company, unveiled in 2013 a project aimed at delivering packages to customer's doorstep by using "octocopter" mini-drones with a mere 30-minute delivery time. 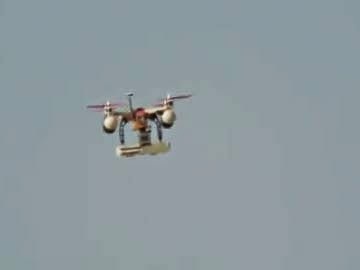 Coming nearer home, a Mumbai based pizza outlet, Francesco's Pizzeria, known for its thin-crust pizzas made with fresh herbs and a "secret" BBQ lime sauce, used for the first time in India an unmanned drone to execute a delivery by taking the aerial route on May 11, 2014. No one perhaps would doubt the potential of use of drones in military and commercial matters, but can you believe that a drone could be used even in case of affairs that are closer to our hearts? Well! A Chinese rock singer and composer, Wang Feng recently showed how it can be used even in such delicate matters. A famous Chinese actress internationally acclaimed for her role in the movie Crouching Tiger, Hidden Dragon, Zhang Ziyi, was celebrating her upcoming 36th on the weekend with her boyfriend Wang Feng and other friends. During this party, a white drone flew toward her. Wang feng quickly retrieved an engagement ring from inside the drone and then got down on one knee and popped the question to Zhang, whether she would marry him? Mighty excited, Zhang said “yes” before welling up, and the newly engaged couple kissed and embraced. To complete the show the night sky lit up with pre-arranged fireworks. This probably is just a glimpse of what future holds as far as drones are concerned. Delivering an engagement ring might have been an idyllic use for a romantic occasion but there could be practical uses like delivering documents, medicines, food at a very low cost and utmost speed. The future for drones seems exceptionally bright.